135 years ago, our nation barred Chinese immigrants from entering the country because of an unfounded fear that they would take away jobs from native-born Americans. With the anniversary's passing on Saturday, May 6, the Chinese Exclusion Act was a painful chapter in history that AAPI activists and scholars warn could repeat with President Trump’s immigration orders. 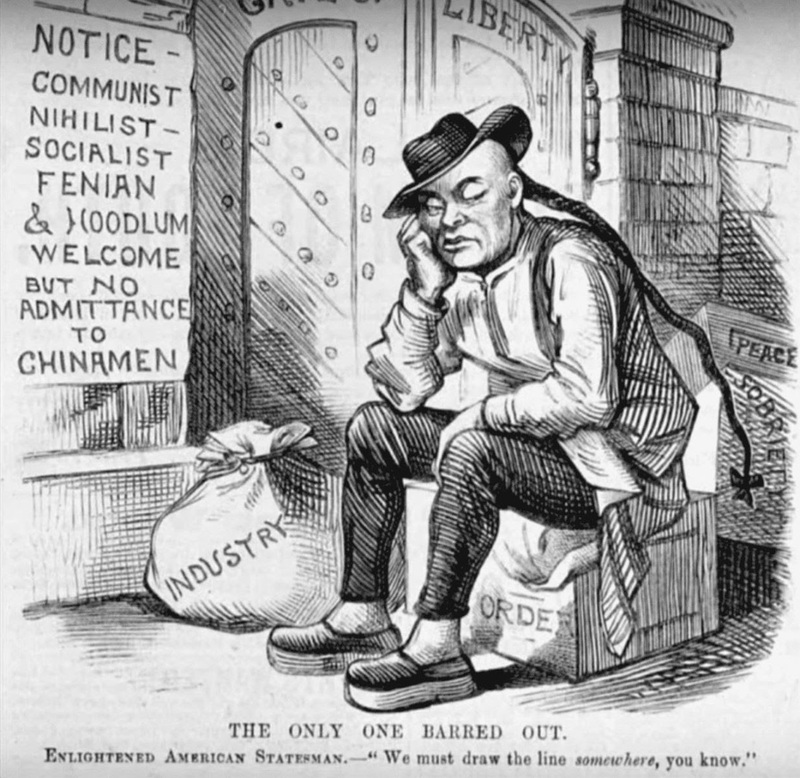 Kat Chow reported on the parallels between attitudes on immigration in today’s political climate and the Chinese Exclusion Act, which was not repealed until 1943 (NPR). NBC news anchor Richard Lui hosted a segment, inviting Texas State Rep. Gene Wu to speak about a Senate bill that would harm immigrant communities (NBC). Asian American studies scholar Erika Lee shared a story about her grandfather’s immigration during the era of Chinese exclusion (Immigration History Research Center). Do you want to support films on the AAPI experience and the Center for Asian American Media? Here is an opportunity to request a screening of the PBS documentary they co-produced, "The Chinese Exclusion Act," in your city. There are planned actions all over the nation that you can follow through #NoBanNoWallNoRaids. As you prepare to attend events or support these efforts, please encourage people in your community to register to vote because there may be an upcoming election in your district.